Rosewood Homes is pleased to present an exclusive, gated enclave of 53 architecturally authentic homes set amidst several neighborhood parks and lush landscaping. This sensitively designed new neighborhood offers generous open space and privacy along with custom detailing in a variety of architectural styles. 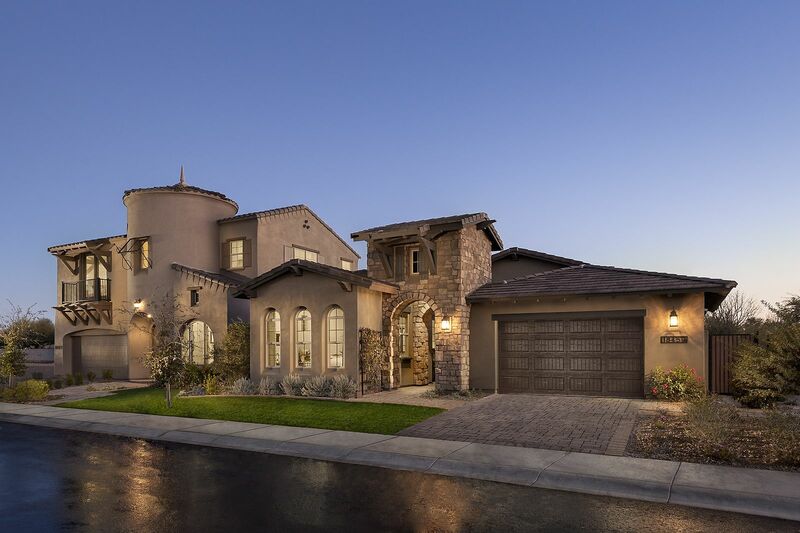 These well-appointed 1-story and 2-story residences feature 3 to 5 bedrooms, 2 to 4 baths and oversized 2 and 3 car garages on pool-sized lots with most homes backing to private landscaped open spaces or located across from one of three distinctly designed parks. These remarkably designed homes provide custom detailing in a variety of architectural styles including: Ranch Hacienda, Spanish Colonial, Craftsman, Traditional Manor and Spanish Mission. Charming front entry ways open to reveal generous standard features like gourmet kitchens with upgraded Bosch stainless steel appliances, 36” cook tops, 3CM slab granite countertops, upgraded cabinetry, oversized walk-in pantry, center island and much more. Innovative floor plans include private courtyards and/or porches designed for seamless indoor/outdoor living, as well as invisible walls of glass, powder rooms, casitas, dens, bonus rooms, oversized laundry rooms, storage closets and special “Family Hearths.” Smartly designed homes are complimented by Rosewood’s Signature Construction, an exclusive program that goes above and beyond the industry standard for quality and craftsmanship with each home providing exceptional endurance, beauty and energy efficiency. And with homes certified to be up to 43% more energy efficient than current building code requirements (and 60-70+% more energy efficient than most used homes) thereby saving Rosewood homeowners thousands of dollars. We invite you to experience the Rosewood difference.